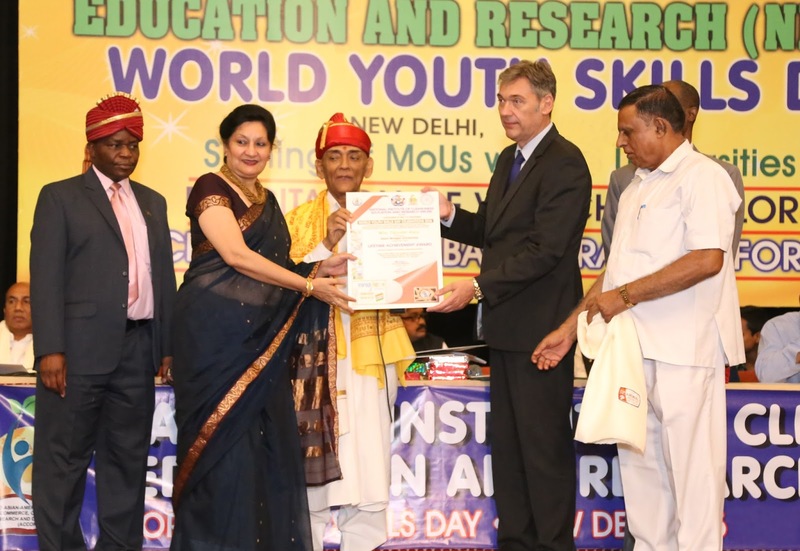 Desh Bhagat University Pro Chancellor Ms. Tajinder Kaur has been honoured with 'Life Time Achievement Award' during the United Nations sponsored World Youth Skills Day Celebrations- 2016 program organised by National Institute of Cleanliness Education and Research (NICER) at India International Center, New Delhi. Ms. Tajinder Kaur, who is also the CEO of Hara Punjab Khara Samaj, an NGO working for social causes and environmental protection was awarded by Dr. Priya Ranjan Trivedi, (President, Confederation of Indian Universities) for her exceptional contribution in the field of Women Empowerment, Environment and Social Service. 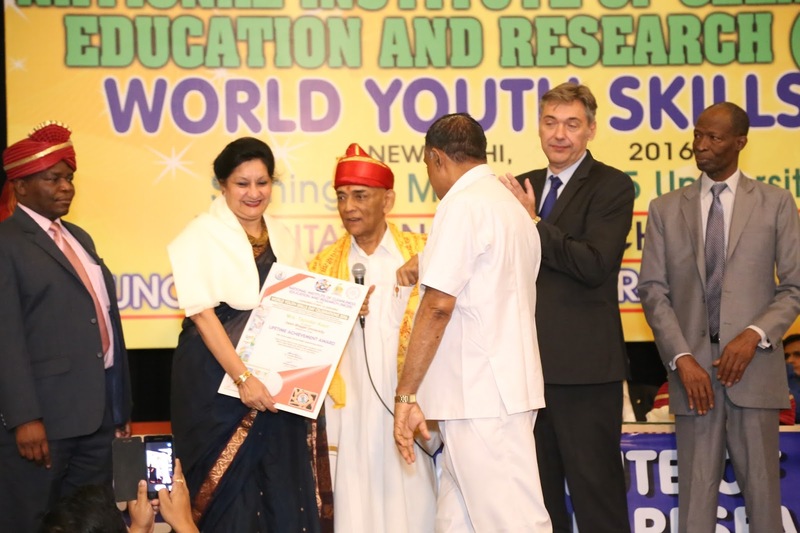 Eminent educationists, Ambassador of different countries including Mr. Abdoulaye Sow, Counselor, Embassy of the Republic of Guinea in India, Mr. Godwin M. Honde, Second Secretary, Republic of Malawi and a large number of students were present on this occasion. Ms. Tajinder Kaur feeling elevated with the 'Life Time Achievement Award', said this award was a huge milestone of her life. She said the recognition which the NICER has awarded her with, sets for her new horizons as she pledges to take these as new challenges with full dedication and commitment. Talking about new challenges she said that this award is not only her personal achievement but a huge recognition of merit for the entire Desh Bhagat Family. University Chancellor Dr. Zora Singh and Vice Chancellor Dr. Virinder Singh congratulated Ms. Tajinder Kaur and said that this award is the result of her hard work, commitment, dedication and her innovative and excellent contribution in the field of Environment and social service. It is worth mentioning that besides being a well-known environmental activist, she is an excellent orator and an able motivator. Female education and creating awareness against social evils are her special fields of activity. Directors and officials of different university faculties, Teaching and Non Teaching staff have also congratulated Ms. Tajinder Kaur on this achievement.